They also took another serviceman's corpse with them. A lorry carrying two servicemen of the Ukrainian Armed Forces hit a land mine on 25 February when they were heading towards the front line. The lorry was destroyed by the explosion and one of the servicemen was killed. The other soldier and the corpse of the killed serviceman were captured by pro-Russian militants. This happened in Bakhmut District of Donetsk Region, the presidential administration's spokesperson for antiterrorist operation issues, Col Andriy Lysenko, has said at a briefing. The Ukrainian authorities and military command are taking efforts to recover the soldiers. 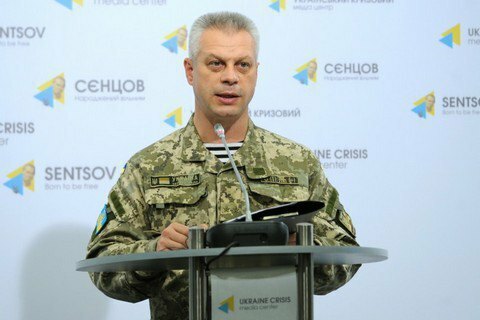 No Ukrainian serviceman has been killed or wounded in the antiterrorist operation area over the past 24 hours despite 71 shooting attacks.